If the first weekend of Khans standard is any indication then Sarkhan is the planeswalker we will be seeing the most of during the coming months. He is being run in a variety of Standard Midrange and Control decks in every combination of colors that include red. He also somehow made his way into some Monogreen Devotion decks. He is usually used anywhere from two to four copies depending on the needs of the deck. He is removal, a threat and his ultimate promises insane card advantage. It is everything that a Planeswalker should be. If you cast him and attack with his dragon form you can ensure triggers for Ferocious, Raid and Prowess. He just goes with everything. Some stores are already pricing him at up to $40. If we look at the Top 8 decklists from both SCG Standard tournaments on 9/28/2014 we see that eighteen copies of Sarkhan were used in nine different decks. There were twenty-five Stormbreath Dragons across six different decks. Yet Stormbreath is half the price of Sarkhan. This inequity will be rectified as more Khans is opened. Theros was the most opened set when it came out and Khans is going to shatter that record. I would try to trade any copies of Sarkhan for two copies of Stormbreath Dragon or rotating Return to Ravnica staples like shocklands and Abrupt Decay. In a few months this will look a lot better in your binder. I stated a few weeks that I thought that Courser of Kruphix would be the most played creature in Standard after rotation. Courser is doing well for itself but not as well as Sylvan Caryatid. There were forty-two copies of Courser in the two Top 8s this weekend. Caryatid beat that by a full play set. You cannot overestimate the importance of early color fixing and acceleration in a wedge set. It was even used in the Modern Jeskai Ascendancy deck that took first place at tne IV Arcanis Deluxe Main Event. Caryatid is also making its presence known in Modern Gift Control and Loam decks. Since it is seeing Modern play I am scratching my head why regular copies are almost the less than $20. I could see regular copies going for that this weekend. Grab some foils instead. Apparently a conditional Ancestral Recall is still really good. It was a piece of Modern Jeskai Ascendency and was playing as a four of in the winning UR Delver Deck in the SCG Legacy Open in Edison on 9/28/2014. It was played alongside Brainstorm, Ponder and Gitaxian Probe. That should tell you something about relative power level of the card. The foil copies are commanding a premium but they are commons. I would unload mine as soon as possible. Modern and Legacy players love their foils but as more boxes are opened the price of these are going to coming down. Just think of the foil Ensoul Artifacts that have sunk from $20 to $13 over the past few weeks. As you draft make sure you do not let any foil Cruises pass you by. Sidisi is going to be a popular commander. She works well with Dredge and Reanimator strategies which are always popular in the format. She can also enable a color combination for zombie decks. She has not seen any real competitive play yet so I am leery of picking copies up. Foil copies will be a good hold for the long term. They are $15 but buylists are offering $10. I would not mind trading for them around that price. It gets rid of most creatures, artifacts and enchantments or just draws more gas. It has been used in Legacy Sultai Delver decks. It is extraordinarily strong in Control and Midrange decks. There is almost never a time when most of its modes are not active. All of the wedge charms will be popular in commander and casual formats. I would target foils. Some like Sultai Charm that are used in Modern or Legacy will be excellent long term holds. Outside of fetchlands I saw more conversations about this card than any other. Johnnies were hard at work making infinite combos out of jank but they finally got there. It won got first place in the IV Arcanis Deluxe Modern Main Event. If you have any foil Cerulean Wisps I would sell them into the hype as soon as you can. Jeskai Ascendency Storm is going to be a presence unless it gets banned. If you were fortunate enough to get your copies for $3 a few weeks ago you have already tripled your investment. I say take your earnings. Ashcloud Phoenix is a recurring evasive threat. It is only played in the sideboard of Jeskai Midrange and nowhere outside of standard. It will probably settle back around $2 where casual interest holds other phoenixes. I cannot find any justification for the price spike. I would trade these away to anyone who expresses any interest. Do we have the new Goblin Guide or Vexing Devil? The short answer is probably not. It was included in that first place Legacy UR Delver deck in SCG New Jersey as a play set in the main deck. It will be popular in Red Deck wins and in absolutely nuts with Searing Blaze or Searing Blood. It is easy to stare at it and think of magical Christmasland where you can play a few Lightning Bolts and Gitaxian Probes and push through for large chunks of damage. It is also easy to see it staring across the battlefield at a Deathrite Shaman or Stoneforge Mystic with an empty hand and be impotent in a way that no Goblin Guide will ever be. I could be wrong. I would rather sell the card at its likely high and let others figure out its role in the metagame. I have always had a soft spot for Lightning Angel. They took one of the most efficient and evasive threats and made it even more efficient. It plays offense, defense and loves to help you convoke Stoke the Flames when all is said and done. Speaking of Stoke the Flames, did you know that it is now a $4 to $5 card? Trade those away for painlands and scrylands while you can. I have a feeling we are going to see a lot of Mantis Riders clogging the skies during Khans standard. It is a great inclusion in Jeskai Midrange. SCG New Jersey had two copies of Jeskai Midrange in the Top 8 including the winner of the tournament. I know this will sound a little repetitive but I cannot stress how much Khans will be opened soon. Your best bet is to take all of these winning cards and convert them into staples or cash before supply catches up to demand. Glittering Wish has been sitting around Modern sideboards for a long time but Jeskai Ascendancy really makes it sing. The deck plays three copies of the Ascendancy in the main deck and one in the sideboard. The four copies of Glittering Wish allow the player to find the crucial combo piece or any of the toolbox of answers out of the sideboard. This will be Glittering Wishes’ finest moment. Sell into the hype before Wizards has to emergency ban Jeskai Ascendency. Sorin did alright for himself this weekend but he was overshadowed by Sarkhan. Sorin is great in Mardu Midrange and Control decks. He has tremendous synergy with Butcher of the Horde, Goblin Rabblemaster, and Brimaz. The decks threats are impressive and versatile. Unfortunately only one copy made either Top 8 on the 28th. It is hard to justify a $30 price tag without the results to back it up. I think he will continue to drop but I would keep an eye out if he gets below $15. He is the threat to reanimate in Modern and Legacy. You can use Sneak Attack, Omniscience, Dread Return, Show and Tell or whatever else you like but if you are in the market to cheat creatures into play then chances are you have a play set of Griselbrand alongside Emrakul. The reason his price is dipping is that he has been announced as the 2015 GP Promo. Everyone who enters a GP Main event in 2015 will receive a copy. I decided to look back on the price history of cards that had previous GP Promos Goblin Guide and Batterskull. Both of them had their lowest prices after the announcement of the promo but before distribution. The reprint did not have any detrimental effects. You could point out the rise of Legacy Burn or the printing of True-Name Nemesis that helped the cards get a new foothold. The important thing is that Wizards want the promos to matter. It wants their promo cards to appear on camera and make people dream of being in the GP themselves. It supports the decks. This should alleviate your worries that Griselbrand is going to be banned any time soon. If you see anyone offering Griselbrand at $10 or $15 because there is a reprint coming up then you make the trade. Keep a binder full of them. You will not be sorry. City of Brass is a staple of Legacy Dredge and TES. It shows up in Commander decks and Cubes of all variety. Unfortunately it has some new competition in the form of Mana Confluence. Those other formats will use both but given how many printings City of Brass has I would invest in copies of Mana Confluence instead. Trade away any excess copies you are sitting on. She is efficient and will be a tremendous commander. She works well with Kitchen Finks or any other creatures that appreciate +1/+1 counters. She hates out graveyard strategies which are very popular in Commmander and casual games. She has not found a home in any competitive decks and so she will continue to drop in price. It has too much competition in the three mana slot. She is competing with Brimaz, Abzan Charm, Courser of Kruphix and Hero’s Downfall. She will drop to around the $3 range until a home opens up or someone decides to build around her. Five mana? Any five mana card that is being played in standard right now has haste or is Planeswalker. We just cannot wait a full turn to see any action. His flash is a nice work around but we need more pieces to make Temur work. Jeskai, Mardu and Abzan all have shells to build off of. Sultai and Temur have not had the same cohesion yet. I think that is only a matter of time. He will continue to decline until someone does find a way to break him. 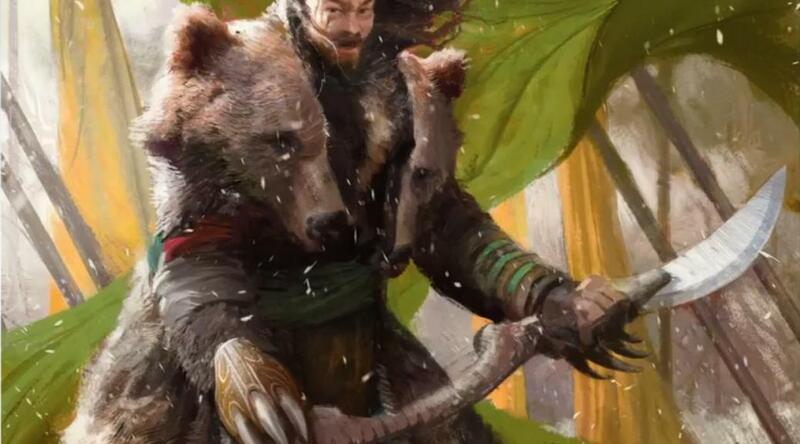 Maybe a Temur Yisan build? I could see grabbing copies once they are $3 to $4 copies. His effect will always be popular with casual players who hate having their fatties countered. He also works very well alongside Animar in Commander. I would keep my eye out on foil copies in another few months when the prices will be the lowest. I think Sorin, Solemn Visitor’s price will tank when people discover that a creature coming out AFTER Sorin used his +1 will not give it the benefit. No way in frick would Jeskai Ascendancy get banned. That hammer would be aimed at Glittering Wish.